Whenever you get time out of your busy professional schedule, you just want to spend quality time with your family. There could be situations when your family members want to spend good time at a tourist destination. There is no doubt that spending holiday or vacation at a tourist location can help families grabbing memorable memories of the life. Are you also planning for a family trip? 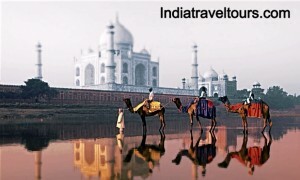 If yes, then you are advised to look nowhere else but Agra tour. One of the key reasons behind choosing Agra city as your next family tour destination is that it offers opportunity to witness the beauty of Taj Mahal, a grand specimen of love. Now, the question arises here how to start your journey? If this is also your question, you should check out stated below points. Whether you plan for a same day tour or a long holiday family trip, you first need to grab information. There could be various things that you need to keep in mind. For this, you are suggested to go online. 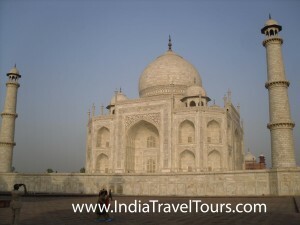 Yes, you need to search for latest information about the tour and travelling services in Agra. Whether it is about grabbing information about latest tourist destinations or tourist packages, you always find internet an effective choice to determine. However, online travel market is overflowing with different types of travel plans to choose from, but you need to end up with a right one. You first need to assess your travelling requirements and budget. There is no doubt that you will never like to choose a tour package that cant cater the requirements of a family trip. Therefore, before making a concluding decision, you should first have a detailed look at your certain travelling needs and budget. For instance, if you want to visit Taj Mahal, you should look for a Family Travel Plan that can help you visiting this most visited tourist destination in India. So, you first need to look for a right family trip package. When it comes to enjoying a hurdle-free journey, importance of accommodation cant be ignored. Therefore, before determining a family travel package, you should first confirm whether it also includes hotel stay or not. If your chosen travel package comes without accommodation facility, you need to look for other options. It is a fact that you will never and ever be able to enjoy great Agra tour even without booking a hotel. Thus, you should look for a travel plan that can help you staying in a budget hotel with your family. What Are the Additional Tourist Attractions to Visit? However, it is true that your main motto behind choosing a family travel plan for Agra is to witness the incredible existence of Taj Mahal, but it doesnt mean that you should not visit other tourist attractions in and around the city. Therefore, before finalizing the deal, you should first know about Additional Tourist Attractions situated in and around this historical city. One of the most visited additional historical structures is Agra Fort. There are various top travel destinations in India that attract foreign visitors or tourists towards it. If you are a foreigner and planning to visit India, you should first know about the tourist destinations, tourist attractions and historical monuments to visit. It is observed that most of the visitors from abroad surely love visiting the most beautiful structure in the world i.e. Taj Mahal in Agra. Are you also planning to witness the great beauty of this historical monument? 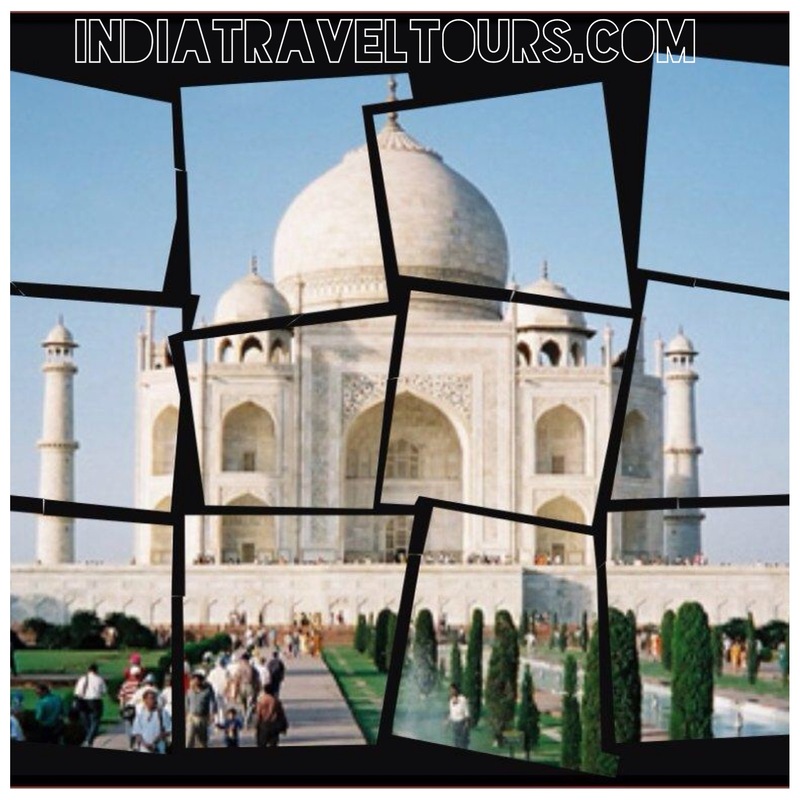 If yes, then you should go through stated below guide on determining Agra tour. When you decide to visit the most visited tourist attraction in India, you should first know about the starting point. 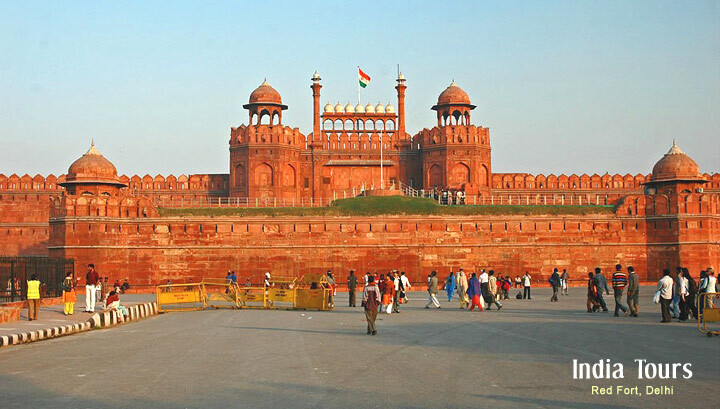 It is observed that most of the foreign visitors first land to Delhi. So, most of the international tourists prefer starting their journey from the capital city. You arent supposed to be an exception. Therefore, if you have already reached to Delhi, it is imperative to choose a travel plan that not only helps you exploring the beauty of Agra but also other cities such as Delhi and Rajasthan. For instance, if you choose Golden Triangle travel plan, you can be able to cover three major tourist locations in India i.e. Delhi, Rajasthan and Agra. Importance of transport cant be ignored whether you start your journey from Delhi or somewhere else in India. Therefore, before making a concluding choice, you should first know about adequate transportation. However, there are different types of transportation facilities available in India, but you need to choose a right one according to your budget and needs. For instance, if you want to reach your desired tourist destination within a short span of time, you should determine plane journey. There are various travel agencies that can help you choosing right transportation to reach Agra to witness the mesmerizing beauty of Taj Mahal. It is a fact that if you want to enjoy a hurdle-free journey, you should first choose a right transport. What Are the Additional Tourist Attractions? However, it is true that you want to visit the most visited travel destination in India, but it doesnt mean that you wont like to visit additional tourist attractions situated in and around Agra. For instance, while visiting to Agra, you may also explore the beauty of Agra fort, historical places in Fatehpur Sikri and various other tourist destinations in Uttar Pradesh. el in Agra. Whether you are looking for an expensive luxury hotel or a budget hotel for international tourists in Agra, you can easily find out plenty of choices to determine. In concise, it can be calculated that if you choose a right travel agency, you can easily make your Taj Mahal visit a great experience of your life. There is no doubt that visiting a tourist attraction can help you getting rid of mental stress. It is often seen that when families need to spend good time together, they simply plan for a tour. Are you also planning to visit a historical place in India? Do you want to end up with an affordable travel package? Do you want to enjoy same day tour? If your answer to above asked questions is yes, then you should look nowhere else but the same day Agra tour. Why only this city? If this is also your question, you should understand the fact that one of the greatest structures in the world called Taj Mahal is situated here. Lets check out the key benefits of same day tour. Whether you are going to choose a service or buy a product, you always like to save as much money as possible. The same rule can also be seen when it comes to visiting a new tourist location. If you want to explore the beauty of a historical structure, you should look nowhere else but this magnificent structure. It is certainly a grand building to visit. It is considered as the best example of eternal love and beauty. So, if you want to enjoy visiting this one of the best structures on this earth planet, you should determine same day travel option. One of the key reasons behind the enormous demand and popularity of same day travel is that it is considered as the best option for domestic tourists. Therefore, if you are looking an outstanding tourist location to visit, you should look nowhere else but Taj Mahal. This splendid structure of love and devotion not only attracts international tourists but also local tourists. Therefore, if you are a domestic visitor looking for option to unveil the beauty of an outstanding structure, you should look nowhere else but the same day Agra tour. Whether you are looking for a service or a product, you first need to deal with the availability. The same situation can also be witnessed when it comes to visiting a historical monument in India. The great availability of different types of tour packages can help aspiring visitors or tourists to visit this one of the most visited tourist destinations in India. It is found that international visitors or tourists prefer choosing a travel plan, which is widely available. So, one of the key reasons behind the growing demand and popularity of Agra travel option is that it is widely available to grab. How to Choose a Right Travel Plan? It is an obvious question that may come to your head when you decide to unveil the mesmerizing beauty of Taj Mahal. If you are looking for a right travel plan, you need to search online for the same. There are various travel agencies online that may help you considering the best tour and travel package for Agra. 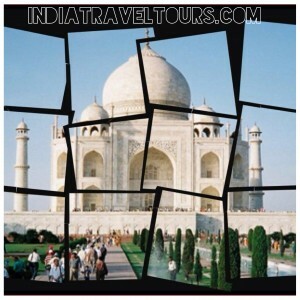 You just need to get in touch with a professional to determine one of the best buying deals on Agra tour packages. Are you planning to visit India? Do you want to unveil the mesmerizing beauty, culture, tradition, and history of this most diversified country? Do you want to make your journey to India as comfortable as possible? Do you want to experience an unforgettable touring experience? If your answer to above asked questions is a positive yes, then you should remember stated below points when planning your India tours. 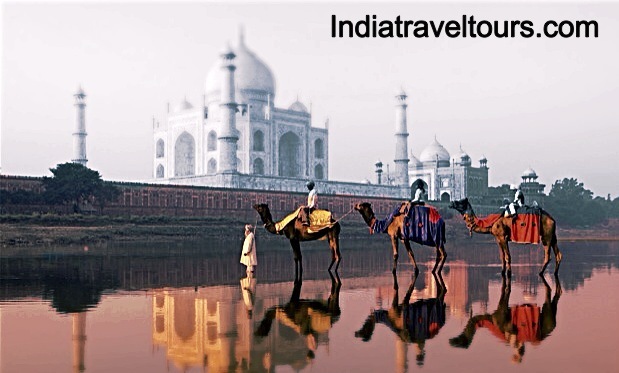 So, lets have a detailed look at what you should first determine or evaluate before planning your tour to India. Since there are endless choices available in India to determine in terms of tourist places, you may get confused on finalizing a right one option. If this is the case, you should first determine what you want to see in India. 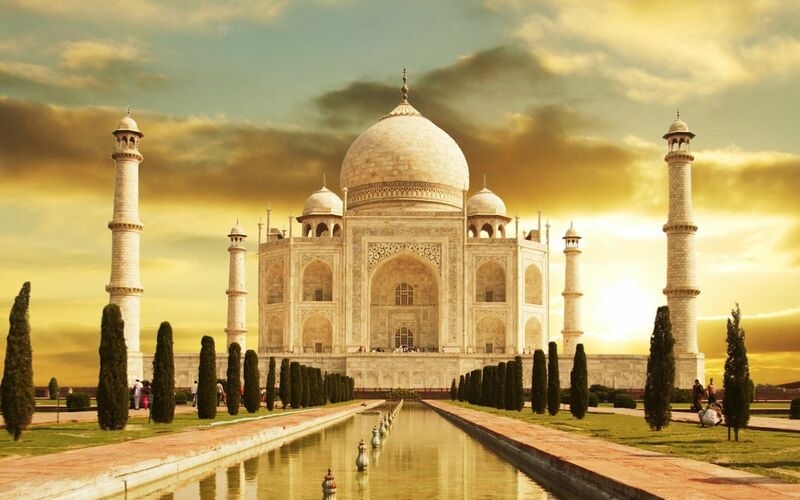 For instance, if you want to visit and explore the beauty of one of the greatest wonders on earth planet, you should plan your tour to Taj Mahal in Agra. Therefore, you are highly advised that before finalizing your tours and travel in India, you should first evaluate your touring requirements. You should grab adequate information about the attractive places in India to visit. When you decide to visit India, you find plenty of choices to determine from most affordable ones to most expensive ones. 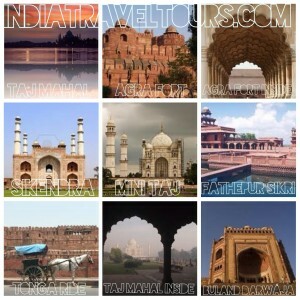 You may choose cheap tours to India option to save money. While on the other hand, if you want to unveil the travel luxury in India, you should look for luxury tour and travel choices in the country. Hence, you may face a situation where you may find it difficult whether to choose an affordable or expensive traveling plan. In case of facing such a confusing situation, you are highly suggested that you should make a right decision keeping your certain budget and travel needs in mind. Since India a big country, you may have to face different climate conditions if you choose to explore various states in India. For instance, if you visit Rajasthan, you will have to deal with scotching heat. On other hand, if you visit Himachal Pradesh, you will have to deal with a cold climate condition. Obviously with changing climate conditions, you should not be able to keep your health sustain. Hence, before planning travel India, you should first go through a medical checkup. In case of finding any unhealthy or unfit sign, you should avoid visiting certain parts of the country. After all health is wealth. There could be various reasons when you need professional help from language issues to geographical problems. Therefore, you are highly suggested that before planning your India tours, you should first confirm whether you can enjoy the journey without help or not. In most of the cases, grabbing professional help is needed. Therefore, if you dont want to be lured by anti-social elements, you should look for a right tour and travel company in India on the internet. Create a list of top tour and traveling firms in India to choose the best tour package. know before starting your Taj Mahal Tour. So, keep reading it. your journey needs and similarly your travelling needs may also decide your budget. Believe it or not, but you arent supposed to visit a big country like India without a guide. transportation simply means you can be able to save your time and money. you when an emergency occurs. precious hours in dealing with this problem. Kuberpur in Agra’s Etmadpur tehsil. Expressway to facilitate a much easier access to the 17th century monument. Mahal thus substantially improving the tone and tenor of tourist services. In keeping with the religious sensitivities of the local Muslim population which throngs the monument in huge numbers for their noon prayers, Taj Mahal is kept out of bound for the tourists the whole day on a Friday. In short, this means that you can simply walk in and have an unhindered view seven days a week, if you are a Muslim, but in case you are a non-Muslim, you are deprived of the opportunity, even if you are arriving from thousands of miles away and you do not have much time in hand to stay in the city. Sorry, Hard Luck! Interestingly, this prohibition applies only to the Taj Mahal, as other major Mughal monuments like the Agra Fort, Sikandara (Akbar Tomb) or Itmad-ud-Daulah’s Tomb) are yours for the asking seven days of the week. In case, you have not been forewarned and actually arrive in the city on a Friday morning only for a day, you can take a taxi to the other side of Yamuna, which will get you a spectacular view of the north face of the Taj, but without affording you the glory of a Taj view from its south face set amidst the lush green garden. The other option is to view the Taj longingly from the edge of Agra Fort, but this is at some distance. The last option is to check in one of the Taj Ganj hotels, many of which have rooftop Taj viewing as one of their attractions. In view of the heavy tourist traffic from all corners of the world, many of whom are unable to converse in the local language Hindi, there are chances that you might fall prey to some sharp practices indulged in by some unscrupulous elements posing as a bonafide guide. Unfortunately, the immortal monument not only attracts tourists, but also cheats and swindlers in various garbs, the most popular being as a guide. Many a time, they throng the Taj Mahal entrance and try to win your confidence through chaste English with an American slang. As they are often unauthorized, they might slink away at the entrance, but before that they might ask you to hand over your valuables in the name of depositing them in the locker, but later you may find to your horror that the trickster and your valuables have vanished in thin air. More often than not, a first time visitor to India is likely to first visit Agra via New Delhi to have a glimpse of the world famous Taj Mahal in Uttar Pradesh. Apart from the legendary Taj Mahal, the other major landmark in this city is the Agra Fort. Although a major city by itself, apart from being an important handicrafts center, Agra Tourism is the raison of this city, where everything moves like clockwork routine around this sole activity. Once in New Delhi, the visitor has many options for New Delhi to Agra travel; one may travel to Agra by air, or comfortable and convenient super fast trains, or by luxury limousines sliding smoothly on superfine highways. A trip to the celebrated Taj Mahal is like a dream come true. Not only the first timers, the monument invariably continues to casts its spell even on the old timers. Its sheer beauty keeps on haunting even days, weeks and months after the visitor has wrapped up his her trip to India, compelling him her to return to Agra again and again. One may even assert that this ethereal building makes the visitor almost equally lovelorn, as was its creator Shah Jehan for his deceased wife and beloved Mumtaz Mahal, in whose memory this wondrous monument was originally erected. The most spectacular aspect of its translucent architecture is its capacity to present itself in varying hues at different moments of the day, as its aspect magically transforms itself if witnessed either at dawn or at dusk, either in brilliant sunshine at noon, or in the dreamy moonlight of a full moon night. In any case, one is forced by various material constraints to stick to the itinerary already laid down. In view of these limitations, the visitor is often constrained to wrap up his her visit to Agra after visiting the Agra Fort and numerous other major and minor sites in and around the city to move on. Various studies on visitor preferences indicate that the visitor has three main options beyond Agra: either the visitor moves on to Jaipur in Rajasthan while sticking with the oft-travelled Golden Triangle Circuit of New Delhi Agra Rajasthan to share the magnificent bounties that state has to offer; otherwise, if the visitor is a bit more adventurous, he she may head straight to Khajuraho in Madhya Pradesh to have a glimpse of the breathtaking beauty of the copulating couples in the Bundela landmark and move on still further south; the third major direction is a trip to the timeless city of Varanasi further east in Uttar Pradesh itself, which truly represents the timeless appeal of this ancient civilization, which makes India the unique destination. The second option before tourist is Taj Express. While this train is not as fast and as good as the Shatabdi one. But still air-conditioned chair car seats are quite fine. Traveller could online book tickets through Indian Railways or IRCTC website using net banking or credit card. As per common knowledge, construction of Taj Mahal was taken up by Shah Jehan, the 5th Mughal Emperor of India, as a fond memorial to his beloved 3rd wife Mumtaz Mahal (Beloved Jewel of the Palace) and was completed by 1648 AD. However, her death had been sudden, as she had expired unexpectedly during her fourteenth childbearing and thus it was a shattering blow to the doting husband, who was not even at the bedside of his wife during her last days. In view of these circumstances, preserving the memory of his beloved wife in a manner befitting her beauty became his sole obsession. This passion, combined with Shah Jehan s zest for building excellence, gradually gave way to an evolutionary process, finally culminating in this masterpiece of Mughal Architecture. However, the design and concept of Taj Mahal apparently was not a result of any flash of creativity, but grew over time during interaction with various advisers, experts, engineers, architects, stone carvers and various other craftsmen. Though there are not many indigenous historical resources, but details about various people associated with this gigantic project have come down through scattered Persian sources. These information sources inform that Ismail Khan, an expert on domes, came all the way from Turkey. Qazim Khan came from Lahore to mould the solid gold finial for the dome. A local lapidary Chiranjilal was requisitioned from Delhi as the chief sculptor, while Amanat Khan came from Shiraz to work as chief calligrapher. Other specialized craftsmen were recruited from faraway Bukhara, Syria, South India and Baluchistan etc. In total, there was an expert council of thirty seven experts which functioned as the creative core, which was entrusted to together supervise a gigantic force of twenty thousand labor recruited locally, besides, a contingent of one thousand elephants, apart from countless bullock carts, mules, donkeys and other supporting men and animals. Just as with the manpower, the construction material was mobilized from diverse sources. Major quantities of red sandstone were quarried from the surrounding region, while white marble was resourced from Makrana, near Jaipur. Nephrite Jade and Crystal came from Chinese Turkestan, Turquoise from Tibet, Yellow Amber from Burma, Lapis lazuli from northeast Afghanistan, Chrysolite from Egypt, Coral and Mother-of-pearl from Indian Ocean, while forty three varieties of precious gems like Topaz, Onyx, Garnet, Diamond, Sapphire and Bloodstone etc. were sourced from within India from sites as diverse as Himalayan to Golconda. As per Islamic practice, the first constructions were the tomb proper and two adjoining mosques. They required consummate skill, as Islamic traditions prohibit any alterations once the tomb has been completed. This core was later supported by the four minarets, the gateway and other auxiliary buildings.